The Lithuanian parliament adopted on Thursday, March 21, a package of amendments offering a hope of release to prisoners serving life sentences. The Seimas passed the package with 87 votes in favour, none against and six abstentions. The amendments will allow a life prisoner to ask a court to review his or her life sentence after serving at least 20 years. The court will review the person’s behaviour in prison and will be able, but not obliged, to replace life imprisonment with a specific term ranging from five to ten years. 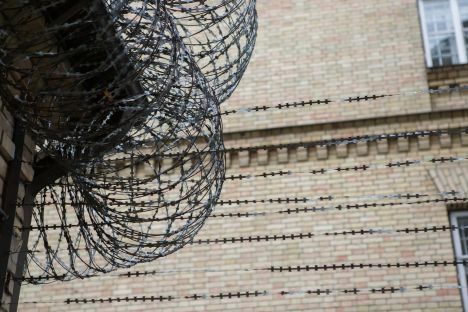 The bill comes in response to the European Court of Human Rights’ ruling that Lithuania violates the rights of life prisoners by depriving them of any hope of release. Over 100 inmates are currently serving life sentences in Lithuania. The Seimas of Lithuania on Thursday, March 21, failed in its bid to introduce penalties for lawmakers for poor attendance after MPs refused to back changes to the Statute of the Seimas, stipulating pay cuts for failure to attend parliamentary sittings. Arturas Skardžius, representing the Social Democratic Labour Party of Lithuania, noted that lawmakers may sometimes need to be in several places at one time and cannot be punished for failure to attend parliamentary sittings. The Lithuanian parliament adopted on Thursday, March 21, a constitutional amendment to allow an individual access to the Lithuanian Constitutional Court (CC). The bill passed the final vote by 106 votes to one with one abstention. The Court’s president Dainius Žalimas says the Seimas’ decision to allow an individual constitutional complain will give people more tools to defend their rights and will thus promote civil involvement. The court’s president said Lithuania had been one of four European states without the individual complaint institute. Maxima Grupė (Maxima Group), the largest retail group in the Baltics, has handed over this week the management of the Spanish Supersol chain operating 196 shops in Spain to the Luxembourg-based Carson Sarl, which is indirectly owned by Nerijus Numavičius, the owner of Lithuania’s Vilniaus Prekyba, and other minor shareholders. Supersol CEO in Spain Vygintas Šapokas said Maxima Grupė and Supersol reached a mutual agreement to end their cooperation as the group plans to focus on the expansion in Poland where it operated the Stokrotka chain. Lithuanian lawmakers on Thursday, March 21, gave their initial backing to a proposed constitutional amendment to introduce lay judges in courts starting from 2021 after 75 MPs voted in favour, three were against and 13 abstained. Now the bill will go to parliamentary committees for further consideration. The institution of lay judges was abolished in 1995, and now legal experts and politicians fail to agree on the need to restore it. Supporters say it would make court activities more transparent. Critics, however, believe the institution of lay judges is not a traditional part of Lithuanian law as it was introduced during the Soviet times, and should be considered alien. Problems with Revolut lie ahead? Lithuania might probably have problems with the UK fintech startup Revolut, which has a specialised bank license from the Bank of Lithuania, in the future, Lithuanian Prime Minister Saulius Skvernelis, running for president, said during an event organised by the Association of Investors on Wednesday, March 20. In December Lithuania became the first European country to issue a specialised bank license to Revolut. But the fintech start-up has been forced lately to dispel politicians’ doubts over the transparency of its activity and plans and alleged ties with Russia. Revolut plans to launch specialised bank operations in the first half of this year. It states to have 4 million customers, and the value of its monthly operations stands at 4.6 billion US dollars. The Lithuanian Finance Ministry on Thursday, March 21, revised its economic growth forecast for this year downward to 2.6 percent, from 2.8 percent previously.It also downgraded its growth projection for 2020 to 2.4 percent and that for 2021 to 2.3 per cent, from the previous estimate of 2.5 percent for both years. In light of certain risks, the ministry forecasts that the country’s economic growth will decelerate in the coming years, from the 3.4 percent growth rate in 2018, which was a year of robust and sustainable economic growth, Deputy Finance Minister Miglė Tuskienė said. Lithuania’s former PM Andrius Kubilius and another three candidates for the position of the Council of Europe’s (CoE) secretary general on Wednesday, March 20, introduced themselves to representatives of the organisation’s member countries. Kubilius, now a lawmaker of the conservative Homeland Union-Lithuanian Christian Democrats, said he promised during the one-hour interview in Strasbourg to be equally fair to all member states, including Russia. The Committee of Ministers, which is made up of member states’ foreign ministers, is to decide next week on a final list of candidates to be submitted the Council of Europe’s Parliamentary Assembly. The parliament’s Committee on National Security and Defence has rejected a move to make public the names of people who have confessed about their past collaboration with the KGB. The committee did not back on Wednesday, March 20, a bill drafted by the Electoral Action of Poles in Lithuania–Christian Families Alliance (EAPL-CFA) to declassify the names of former KGB collaborators. The State Security Department (VSD) and the Genocide and Resistance Research Centre of Lithuania do not back the proposal either, saying the state promised to keep the names of these people secret when it invited them come forward about their KGB past. Prime Minister Saulius Skvernelis met with the Chinese ambassador on Wednesday, March 20, amid growing concerns over Chinese technology giant Huawei’s investment. The United States has recently started pressuring its European partners to renounce Huawei equipment, saying that it might help China spy on Western companies. Government representatives have said so far they have no reason to ban the use of Huawei equipment for civilian purposes, but Minister of National Defence Raimundas Karoblis says Huawei technology will not be used by the national defence system. Austria’s budget carrier Laudamotion is set to launch regular flights between Vilnius and Vienna next October, Lietuvos Oro Uostai (Lithuanian Airports, or LOU) said on March 20. Laudamotion will start a three-weekly service between the two capitals on October 28.The Vienna-based airline has a fleet of 23 aircrafts.